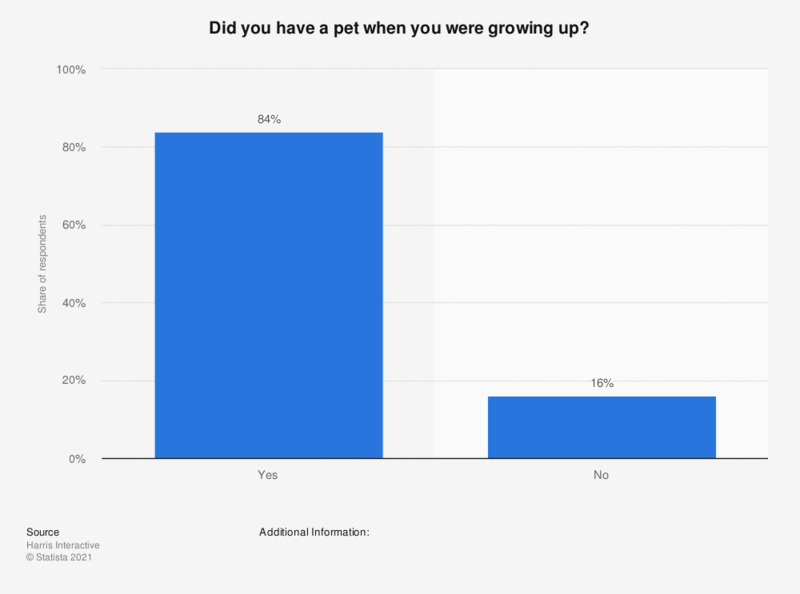 This statistic shows the results of a survey among adult Americans on whether they owned a pet when they were growing up, or not. The survey was conducted in 2015. During this survey, 84 percent of respondents stated they did own a pet when they were growing up. How long has it been since a cat or a dog has been living in your household? Which of the following types of pets did your family own when you were growing up? Previous pet owners: Would you consider having another cat or dog as a household pet again? Would you trust your neighbors with...?